This entry was posted in 365 Day Photo Challenge, Photography, Uncategorized and tagged 2012, 365 Day Photo Project, art, blurb, blurb book, book, books, Photography, photos, pictures, project 365, Projects. Bookmark the permalink. Oh, I know. 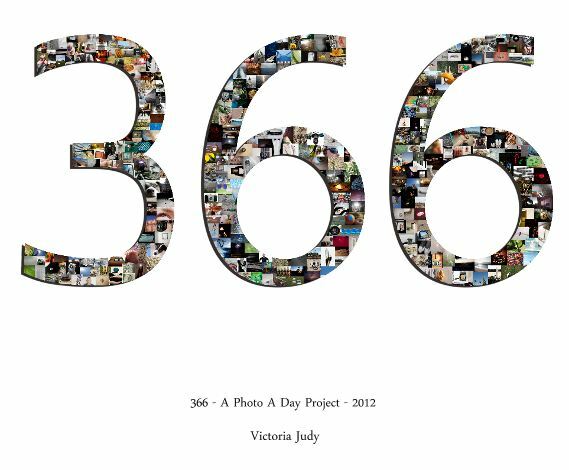 Unfortunately the base price to make the book is so high, that I only make 40 dollars off of any of the versions of the 366 Day Book. The larger 13×11 version I made more or less for myself, that’s the one that’s $229. I didn’t expect anyone to buy that one. I was glad the smaller 10×8 version wasn’t as bad, considering it’s a 200 page book, with 366 full color pictures in it. Blurb has done such good work in the past that I haven’t been able to find a cheaper way to self publish photography books. Do you know of any? I don’t at the moment but I will be in a different boat as I was going to do a 50 page poetry book and then find some where to self publish a 30 page photo book. I was hoping Lulu would be a viable option for both.